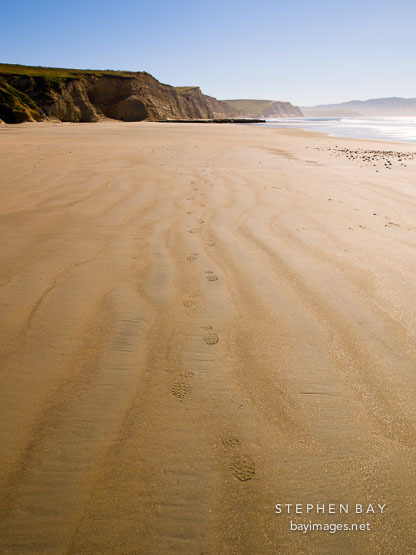 Photo: Footprints in the sand at Drake's beach. Point Reyes National Seashore, California. Footprints in the sand at Drake's beach. Point Reyes National Seashore, California.